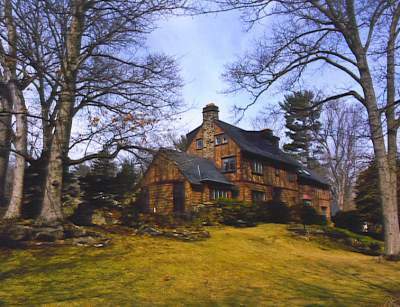 About thirty miles outside of New York City lies the peaceful town of Rye in Westchester County ( Rye on Googlemap). 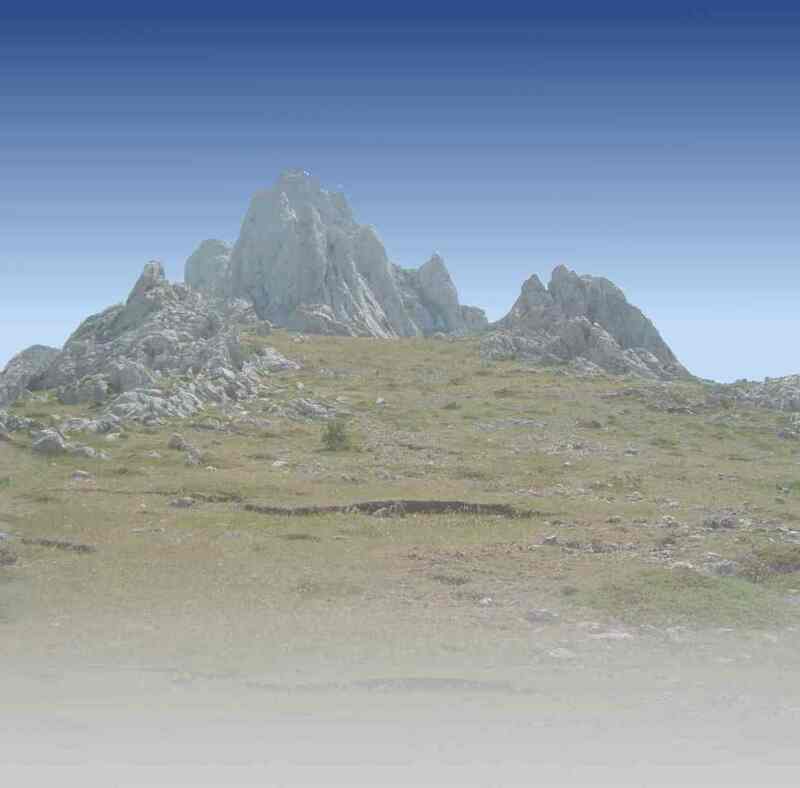 Around fifteen thousand people live there nowadays. At the time of Lex Barker's birth in 1919 Rye was home to about five thousand inhabitants. During the boom years after the First World War, that number almost doubled. Many people of the more affluent cultural strata from the metropolis New York spent the summer months out in the wide-open region, in the beautiful countryside that promised rest and relaxation. The same applied to Lex's parents, Alexander Crichlow Barker Sr. and Mariann Beals. His father managed a successful building company and a second residence was part of the comforts during that era. 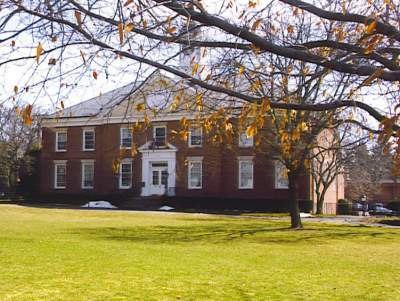 Lex's spacious house of birth, a robust brick building, stands on a small elevation in the middle of a park, surrounded by trees. Timber beams along the ceilings, around the fireplace and the leadlight windows create a picturesque impression. The view from the lounge room, opening onto a luxuriant flower garden and the extensive park, invokes the feeling of living in the country. He wanted to become an actor. It was a vexing prospect for his father. 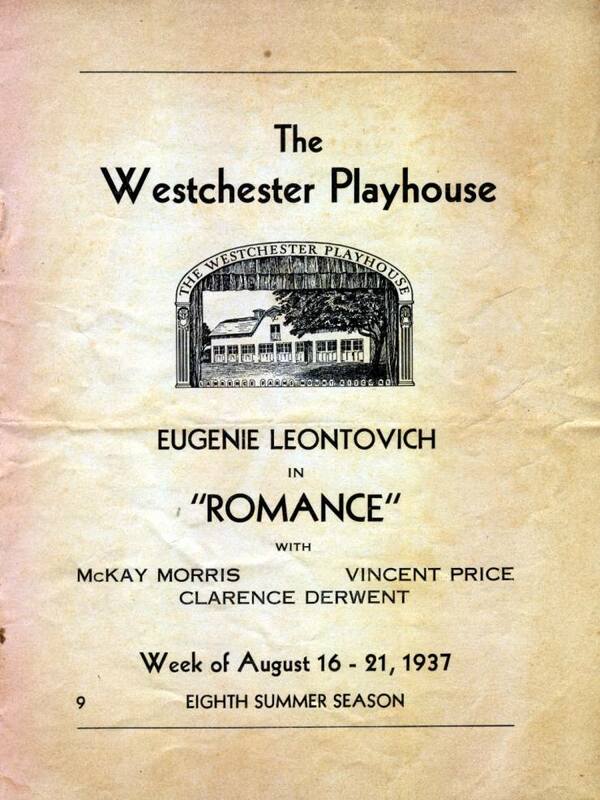 After a school play in 1936, young Lex ventured to the summer theatre at Mount Kisco a year later ( Mt. 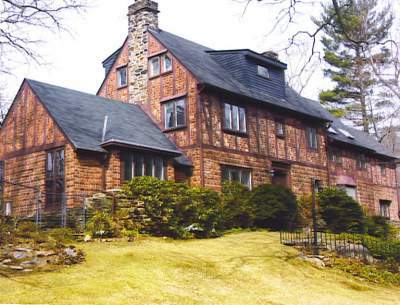 Kisco on Googlemap - follow the 684 from Rye north to Mt. 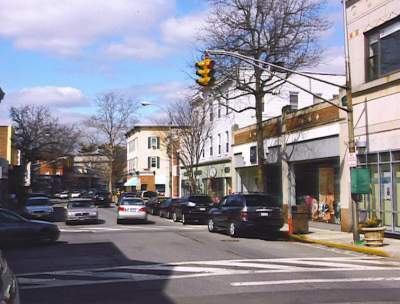 Kisco). During the opening years of the 1930s, the small settlement in Westchester County became one of the venues for the first US-American summer theatres. It was there where seventeen-year-old Alexander Crichlow Barker became familiar with work around a real theatre in his function as a general dogs body. 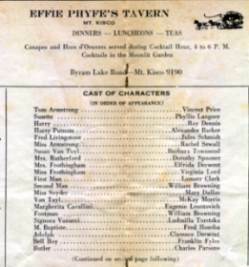 Alexander Barker, as his name was printed in the program, received his chance to stand on the stage in the play Romance with none-other than Vincent Price in the male lead role. Famous theatre-star, Russian-born actress Eugenie Leontovich headed the cast. Lex Barker realized that acting was very much to his liking. 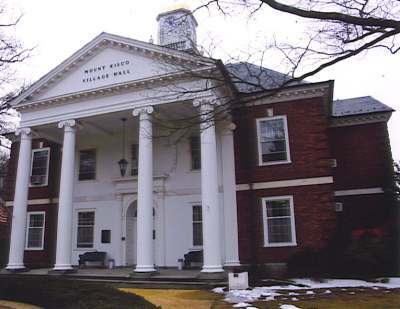 In 1938 neighboring Westport County Playhouse accommodated Barker in the play Anna Christie. It was on his home turf, Westchester County, where he made his decision in favor of the acting profession. 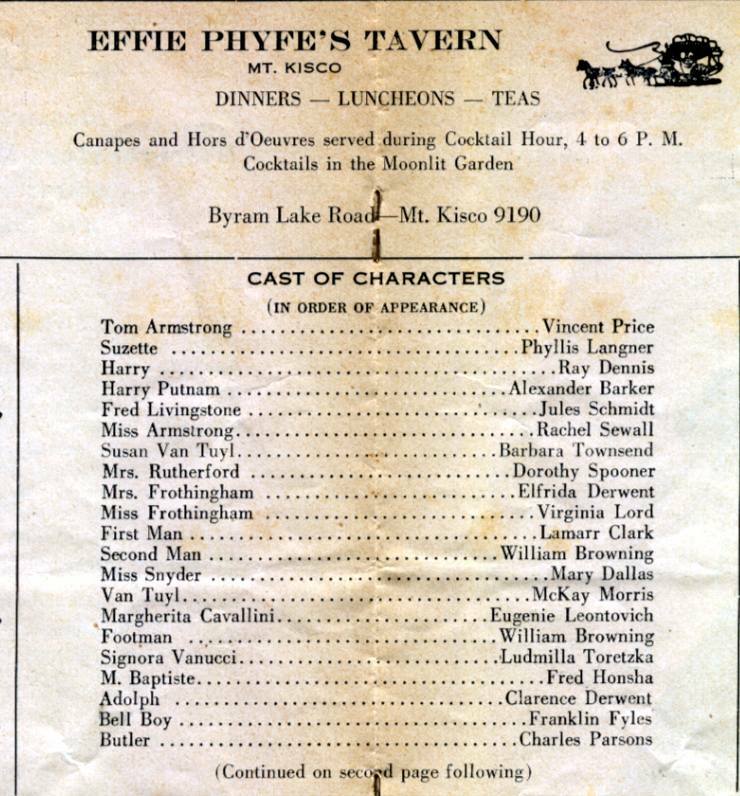 The venues of those plays, where during the years after Lex Barker actors like Henry Fonda, Ethel Barrymore and even John Wayne could be admired, have long ago disappeared. 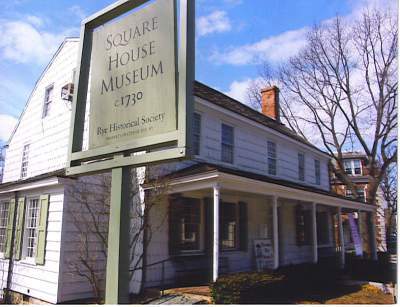 However, the townships of Mount Kisco, Westport and Westchester County still radiate a leisurely ambience not far from the gates of New York City. 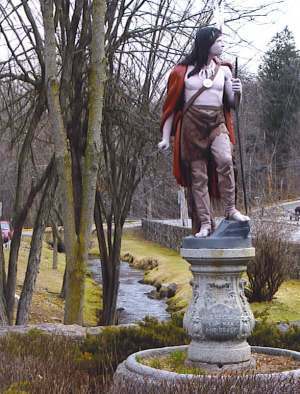 During a stroll through the streets of Mount Kisco one becomes aware of the fact that here in this place young Lex feverishly awaited his first stage appearance and that not far from the Hudson River the fate of the later Tarzan and Old Shatterhand actor was decided.